Four-time Oscar and twenty-time Grammy winner Henry Mancini wrote some of the most loved movie songs of the '60s through the '70s. Among his best known compositions were "Moon River," "The Days Of Wine And Roses," "Two For The Road," and "Charade," as well as instrumentals such as "The Pink Panther," "The Baby Elephant Walk" and the "Peter Gunn Theme." Mancini also wrote many classic film scores, including: Touch Of Evil, Hatari, Arabesque, and Victor/Victoria. 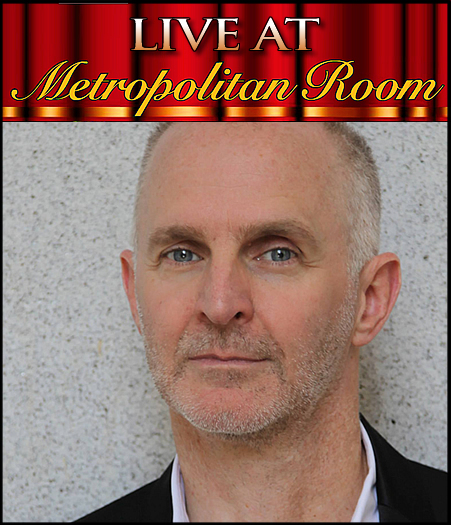 Jeff Macauley is a Backstage Bistro Award winning New York based cabaret singer whose last show "It Was Me, The Lyrics of Norman Gimbel" garnered Jeff a nomination for the 2012 Broadwayworld.com Cabaret Award for Best Male Vocalist. "It Was Me" has been performed in both Los Angeles and New York and is now a studio recording available on CDBaby and Amazon. In his previous shows, Jeff Macauley explored the rich world of early musical films in "Hollywood Party--Movie Songs 1928-1934," and paid tribute to the most popular female singer of the 40's and a beloved Hollywood icon in "MWAH! The Dinah Shore Show," for which he received Backstage magazine's Bistro Award. Jeff continues his exploration of great american popular song of the last century through legendary film composer Henry Mancini's rich musical legacy under the musical direction of the superbly talented Tex Arnold, who also wrote the arrangements.